VRTUCAR makes it very easy to live in Ottawa and not own a car. I find that this car sharing services excels with customer support, fleet availability, and ease of use on the booking website (and mobile booking website). VRTUCAR helps me meet the gap between public transit, and cycling. I mainly use cars for emergency trips, picking up large items, or getting to those destinations around Ottawa that arent serviced by public transit. Very highly recommended, and membership is a breeze! If you dont need a car for your daily commute, save thousands a year by shedding car ownership in place of their service! My experience with VRTUCAR has been above and beyond my expectations. 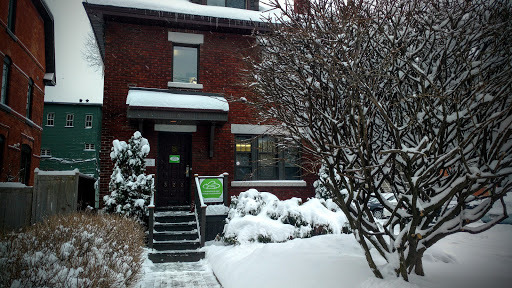 I was frantically searching for a car rental after my ZipCar fob never came in the mail (DO NOT GO WITH THEM) and Sondra at the Ottawa location gave me incredible customer service. I would highly recommend this company to any renter, especially those who are under 25 since all car rental companies in Ontario require that you show proof of liability auto insurance (if we had cars, why would we be renting?) Anyways, thank you VRTUCAR, youre a life saver! Registered yesterday, picked the key today! Awesome and fast service! AVOID ZIPCAR in Ottawa: I joined them 6 weeks ago and I still havent received my card to access the cars, but they dont hesitate to charge me 2 monthly fees even without me being able to use their service! Excellent customer service. Lisa at Vrtucar went out of her way in assisting us with our membership. Keep up the nice work! Vrtucar is a very convenient car sharing service around Ottawa. Highly recommend it. The best way to drive!